Included with each Norvise and Norvise Bobbin Kit. 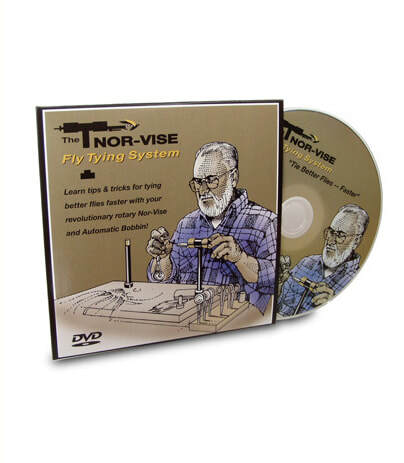 This professionally produced, one-hour video is a must for first time fly tiers and anyone new to the Norvise Systems. Even veteran tiers will appreciate the many tips shared by Norm Norlander, career fisherman, master fly tyer, and inventor of the Norvise System. Over an hour and a half of fly tying instruction by Norm Norlander. 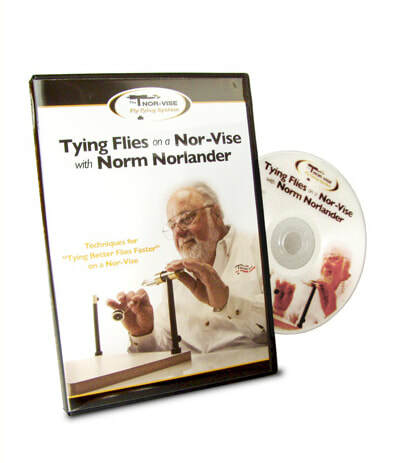 This DVD, Tying Flies on a Norvise with Norm Norlander, will demonstrate new skills and techniques to make your fly tying much more effective, enjoyable and faster! Includes Mayfly series, Midge series, Tube Flies and Dubbing Brushes.